Smaarts provides a completely new, patented solution that detects enterprise security infections in real-time. Security meets Big Data. Smaarts analyzes streaming data from security-related devices and other sources to detect complex relationships, conditions and patterns in real-time. It also automates the repetitive tasks done by security analysts in large enterprises, freeing them up to focus on true attacks. Our Big Data throughput lets us look at ALL data sources to quickly identify elusive anomalies and help analysts contain infections before they progress to data theft. More than 30 years of bringing innovative technologies to market. Prior to Smaarts – his sixth start-up, with 3 exits, >$800M – he was VP Applications and Mobile Product Mgmt at Yahoo, responsible for a $1B product portfolio. 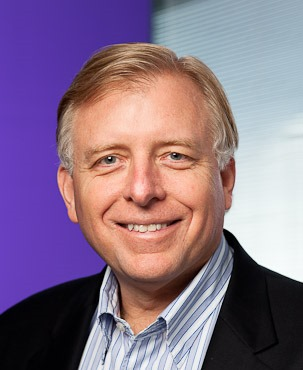 Prior, he held executive roles with Moxie Software, Octopus Software (acq by ASK), Microsoft, Hotmail (acq by MSFT), BSG (acq by Per-Se Systems), Paradyne (acq by AT&T). Steve has a BA in Computer Science from Dartmouth. Jeff has been designing next-generation technology for >25 years. He has consulted with companies from start-ups to the F100, created development organizations and new ventures and authored several patents for data compression and data correlation. As co-founder and CTO of Smaarts Inc., he is dedicated to creating new capabilities for companies by harnessing the value of real-time data. (Jeff is the inventor of Smaarts’ data correlation patents. Robert has more than 25 years of experience in all aspects of enterprise technology, the last 18 of which in enterprise security. He has held executive and senior product management and marketing positions at McAfee, ArcSight, Juniper, NetScreen, OneSecure and Check Point. Robert has been instrumental in bringing new technologies to market, including Stateful Inspection Firewalls and Intrusion Prevention Devices. Dr. Pliner has more than 30 years of experience in computer software and systems technology, general management, and business development. He co-founded Verity Inc., serving as Chairman, President, and CEO. He also co-founded Sytek Inc. serving as its Chairman and CEO. Mike spent the first seven years of his career with the NSA. Mr. Zarb recently served as VP of Market Development at Numenta, Inc. Prior, Mr. Zarb served as Vice President of Marketing of Arcadian Networks Inc. since September 2006. He oversaw product marketing and corporate communications. Mr. Zarb served as Senior Vice President of Marketing at SAP Portals (formerly Top Tier Software, Inc.) since August 1999 and served as its Vice President of Corporate Marketing from August 1998 to August 1999. Vic Wheatman is currently Senior Director/Security for Javelin Strategy & Research. Vic has extensive background in information security, ecommerce, electronic data interchange, public key infrastructures and related applications. Prior to joining Javelin in the spring of 2012, he served as a Managing VP at Gartner for the Security team for ten years, as well as vice president of Gartner's e-Commerce / Electronic Business research area.